Under recently announced European Union mandates, electrical Distribution System Operators (DSOs) are tasked with improving the efficiency of their electrical distribution networks by 1.5 percent each year. In addition, they are challenged with finding new ways of integrating into the grid Distributed Energy Resources (DER) such as EV charging stations and renewable energy generation at consumer locations. Addressing this challenge requires the ability to tightly control voltage. One cost effective solution for DSOs to reach this objective is integration of powerful Remote Terminal Units. With the addition of DER, the DSOs have to manage situations where voltage may be rising on one part of their grid while decreasing on another part. Thus, DSOs are deploying digitized solutions to monitor and regulate voltage all along feeder networks distributed across the grid. Feeder automation is now emerging as a front-line technology for distribution network control and the monitoring of low voltage (LV) and medium voltage (MV) power flows. In fact, the next level of proliferation of digitalization is occurring out on distribution feeders. Today’s remote terminal units (RTU) and smart ring main units (RMU), are helping DSOs take on the multiple challenges of voltage regulation , advanced fault detection and automating power restoration. Here are use cases of two of the many European DSOs that have most recently deployed these technologies in order to better address their challenges–such as decreasing the frequency and duration of power outages, improving power quality, and facing grid evolution. A major challenge the first DSO faced was the need to enhance fault detection capability. 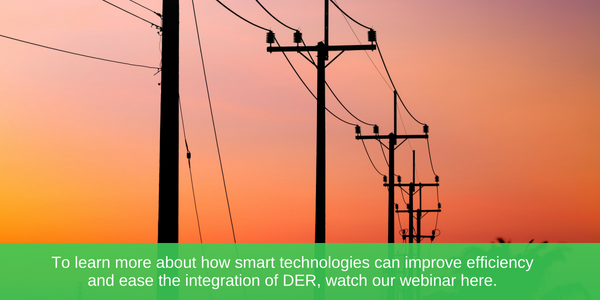 Working with a trusted partner, they created distributed intelligence by automating their substations so that they could act as MV/LV concentrators, which gather smart meter and feeder data. The substations contain connected feeder equipment that links to corporate systems such as supervisory control and data acquisition (SCADA) and advanced metering infrastructure (AMI). The solution extends to both existing switchboards and new switchboards. These smart and connected feeders have been shown to help reduce outage time up to a factor of five. In this case, the solution provided to the operator was cybersecurity-compliant with advanced fault detection and voltage regulation capabilities. With their modular and scalable solution, the DSO is also now positioned to begin measuring power usage and power quality. The second DSO, on the other hand, with 7.8 million customers in both large cities and rural areas, faced the challenge of modernizing and standardizing their extensive network of feeders. A core business goal was to limit the number of feeder configurations, thereby reducing the possibility of errors in the field and allowing RTUs work with any RMUs on the network. In order to develop the optimum configuration for compatibility with core systems such as SCADA, the DSO and the equipment manufacturer performed extensive collaborative testing. Pilot remote terminal units were first rolled out across several substations. During one of those pilots a problem on one of the network rings occurred, and the system was able to automatically reconfigure the network as planned in order to maintain network stability. Since large numbers of RTUs were required, the equipment manufacturer organized their supply chain logistics in such a way that the product was easy to order, easy to ship, and easy to deploy in the utility. For the DSO, having a system in place to easily deploy the automation was just as important as having the right automation and technology on the network. Indeed, for utilities owning thousands of MV/LV substations and looking for a smarter network, collaboration with a partner on standardized solutions, using T300, is key to roll out easily smart functionalities.